Welcome to the Hug Hotseat! 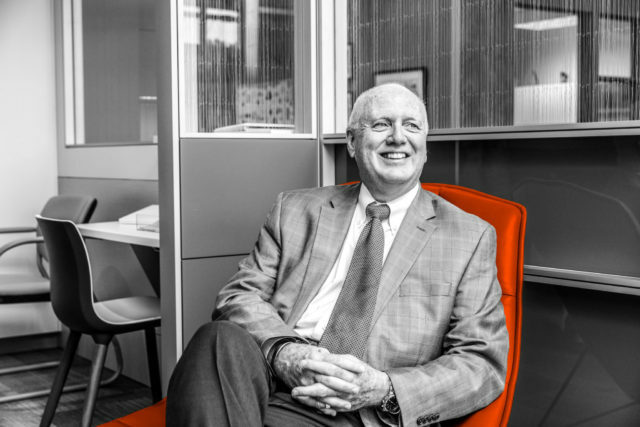 This month’s Q&A features John Duffy, the new President of RJE Kentucky. We are thrilled to welcome John to the RJE team and can’t wait to see how his leadership guides the success of our Kentucky business. So far for this year it has been September 1 — the opening day for the University of Georgia’s football season! 2. What do you love most about living in Louisville? As I write this note, my family and I are moving to Louisville. We relocated from St. Petersburg, Florida where we have lived the past three years. However, we spent more than 20 years in Georgia. Kentucky is very much like Georgia with nicer people and a lot less traffic. We love the hills, trees and moderate climate. Louisville is very much like Savannah. More importantly, we are now closer to several of our grown children. So, it’s like coming home only better. “The Watchdogs Didn’t Bark” – A reexamination of the how the intelligence agencies failed to coordinate to stop the events of 9-11. This book took 10 years to write and publish. It was co-authored by my son, John Duffy, and was released on September 11, 2018. To organizations who rescue pets, as we are a family of dog lovers and currently have four! We are looking forward to finally getting through our move! I’d visit Ireland so I could see where my ancestors are from. The opportunity. Every day offers a new opportunity to serve our customers, develop and execute on the business growth strategies and to participate in coaching and leading the team to meet their individual goals. It’s now my turn to give back.